Haryana DET 2018 Application Form has been available online. The online application form is released by the Haryana State Technical Education Society on its official site at http://www.onlinetesthry.gov.in/. Read all the instructions carefully before filling the online application. Candidates who wish to apply for Diploma Engineering (including HGST, KM, MAR, SDB & TFW categories) and Diploma Pharmacy (including MAR category) shall report at the selected Designated Center along with the relevant documents for Verification & Confirmation of Online Filled Application Form as per the notified schedule. It is important that candidates should apply before the last date. Check here complete details for Haryana DET 2018 Application form. 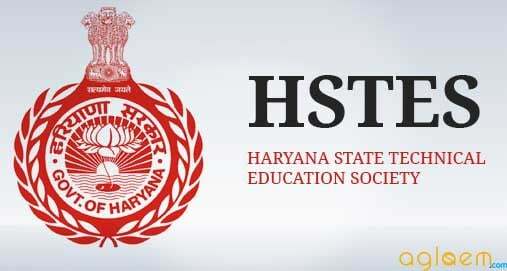 Latest: Haryana State Technical Education Society released the Online Application Form of Haryana DET 2018. Candidates can apply through the link provided below. The online application for Haryana Diploma Entrance Test (DET) 2018 has been available in online mode only. No printed application form and applications for admission in all Diploma Courses shall be accepted. Candidates need to complete all the application procedure before the due date as any application submitted after the last date will not be accepted. A direct link for registering and filling the online is available below. So candidates are advised to keep in touch with Aglasem for any updates on this. 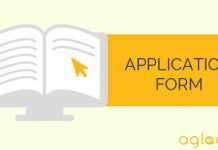 Apply Online: Click here to apply Online Application Form of Haryana Diploma Entrance Test (DET) 2018. Before applying online, applicants are advised to read all the instructions carefully before filling the online application. 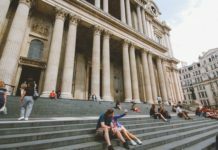 After opting the course, you start filling in all the details like personal details, academic details, communication details etc in the online application. All the information provided must be same as registered in the qualifying examination. To complete the application process, the applicants will be required to upload his/her photograph and signature in the online application as per the specified format. Applications without photograph and signature will be rejected. After completing all the above steps, you may submit the application online. As soon as you will submit the application form for DET 2018, a unique application number will be generated.The candidates should note down the unique application number as it will be required for future communication. The candidate should also keep a copy of application form for his/ her record. The last in the application process is making payment for the application fee. 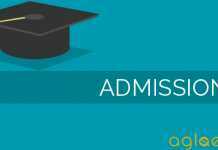 As per last year the application fee for General Categories was Rs 500/– and for all Reserved Categories (SC, BC, EBP, PH, FF, ESW, KM, HGST, Girls) it was Rs 200/-. However, it is expected that the application or entrance test fee will remain the same. The Application fee for Haryana DET 2018 can be paid by either Online mode (Credit Card, Debit Card, Net Banking) or through E-Challan (generated at the time of filling the online application). The applicable fee shall be accepted on the next working day of generation of the E-challan. The applicant shall have to select a Designated Center (Govt. or Govt. Aided Polytechnic in the State) while filling Online Application Form for Verification & Confirmation of his/ her Online Filled Application Form. A verification team of two members (with at least one Group A or B officer) at the concerned Designated Center shall check the relevant documents and accordingly shall verify the marks of qualifying examination/ other particulars of the candidate filled in Online Application Form. After successful conducting Verification & Confirmation of Online Filled Application Form, the Designated Center shall provide a system generated Verification Report to the aspirant duly signed by the committee and the aspirant. A copy of the same attached with proof of marks of Qualifying Examination and proof of Reserved/ Special Category (if any) shall also be retained by the Designated Center. The Candidate who wish to seek admission in Diploma Engg Lateral Entry Course shall report at any nearby Designated Center as per the schedule and deposit the print out of Online Filled Application Form along with Income Certificate of Parents & Haryana Resident Certificate (in case if applicant has not passed/appeared in the qualifying examination from Haryana) for verification. On successful verification of the application form, the designated center shall provide a receipt to the applicant. Also, the hard copy of the complete online application form along with the attachments shall be retained by the designated centre.